What an Instant Mini Camera can do that your mobile phone can't? 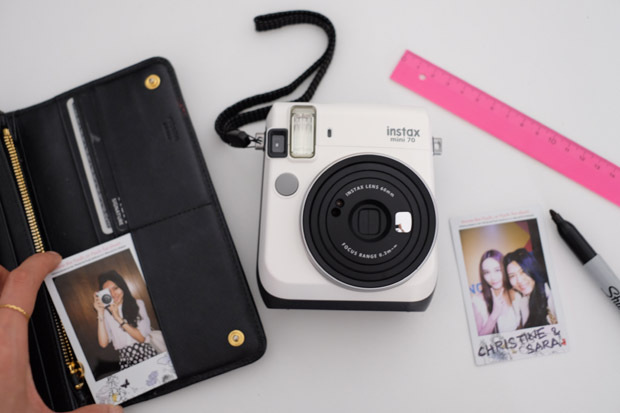 Turn an ordinary outing to a spectacular one with a mini instant camera. In a generation where digital photography reigns, having a camera that produces printed photo (instantly!) will surely light up a party. Fujifilm’s newly released Instax Mini 70 produces credit card-size photos right away. We adore the modern design which exudes a retro-vibe. The camera camera comes in three colours – moonlight white, canary yellow and island blue – to let you choose one that fit your personal style most. Its so stylish that your camera is your new fashion accessory. 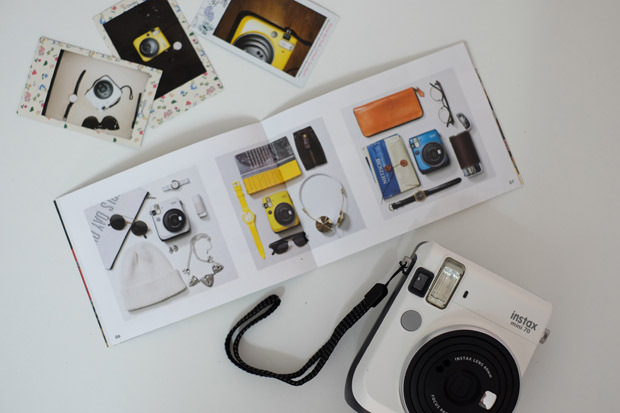 As functional as it it aesthetically pleasing, Instax Mini 70 has automatic exposure control. This important feature ensure that photos turn out great whether you are outdoor or indoors, in low or bright lights. When you presss the shutter button, the camera automatically detects the amount of ambient like and adjusts the shutter speed and flash accordingly. You’ll get the instant gratification of getting a printed photo you’ve just took a minute ago. After pressing the button to take a photo, a small size photo will roll out of the camera. Instax Mini 70 comes with a tiny mirror right beside the camera. Yes, that means you can take ‘selfie’ easily and get a photo of yourself instantly. When holding the camera for a selfie, use “Selfie Mode”, and make use of the mirror to check your framing. The camera comes with a “2 continuous photo self timer” which captures two photos after the 10th and the 13th seconds. You can give a printed photo for your friend right after taking a ‘wefie’ together; one for you and one for your companion. 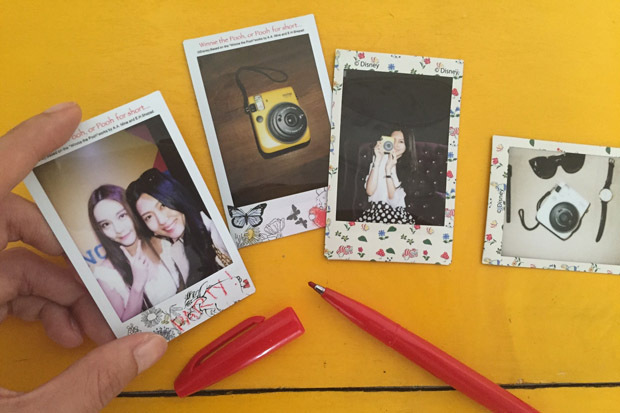 When you bring the Instax Mini 70 to a party, remember to bring along a marker. After taking a photo with a friend, you can write a personal message or doodle on your photo for a personal touch. Printed photos reminds you of happy days in a way that digital photos in your camera can’t. Put the photo on your fridge, use it as a bookmark. You can also secretly slip a cute selfie of yourself into your lover’s wallet. If you’re finding ways to make your next party a blast, this might be your answer. Happy snapping! 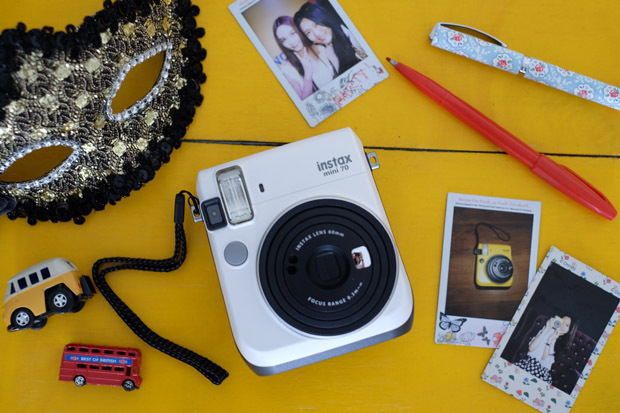 FUJIFILM Instax Mini 70 retails at RM 598.00 (inclusive 6% GST) and is available nationwide from 1 November 2015 at any authorised FUJIFILM dealer’s outlet.